Growing up, I don't recall anyone using the word "modesty." Sure, there was the Sunday school teacher who took me aside and gently suggested that the lace-up bodice of my beloved thrift store Gunne Sax dress tended to come loose, revealing a wee bit of bosom. ("You're getting older now, and have to think about these things," she said.) But nobody explained why I should care if said bosom showed. I grew up performing in theater - a profession where true modesty tends to be ignored. As a teen, I became a pro, but before then, I often performed in community productions where there was very little dressing room space. It wasn't unusual for me to have to strip down to undies in the wings - and though my mother had me wear teddies in such situations, I really never considered why. Even as an adult, modesty didn't much enter my thoughts. I recall the crew of one musical I was performing in jokingly giving me an award for "best cleavage." Looking back at photos of that show, I can see how the folks in the lighting booth must have found it difficult to look at anything but my cleavage. It really wasn't until I began having children that the topic of modesty even crossed my mind. So, unlike a lot of Christian bloggers talking about modesty, I have a bit of an unique background in this area; I've gone from someone who never thought about it at all, to someone who's gradually learned its importance. As has been mentioned by many writers, the trouble with the modesty discussion is that it tends toward legalism. 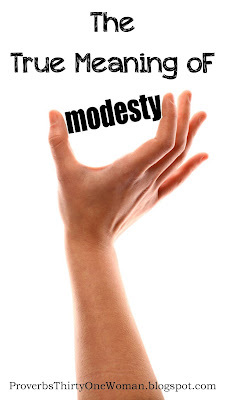 In fact, I see many Christian women who were raised with strict rules about modesty rejecting all teaching about modesty because modesty was used as a control device in their childhood households. To be sure, we should never become like the subjected women of some other religions. As Christians, we are free. Nobody should use our looks, what we eat, what we drink, etc., to control us. "Therefore let us stop passing judgment on one another. Instead, make up your mind not to put any stumbling block or obstacle in the way of a brother or sister...If your brother or sister is distressed because of what you eat, you are no longer acting in love. Do not by your eating destroy someone for whom Christ died." "It is good not to...do anything that causes your brother to stumble." So as I teach my children (both my boy and girl) about modesty, I focus on the basics. I started when they were toddlers, with conversations that began like this: "God wants you to keep your private parts private. They are called 'private' because they are for you, your doctor - and someday, when you're married - your husband to see." But we don't just focus on our bodies - because the root of modesty isn't how we dress, but how we think and feel. The definition of modesty isn't "long skirts" or "not wearing low cut blouses." The actual definition of modesty is being free from vanity, pretentiousness, and a general attitude of "look at me!" The jist of the most famous Bible verses on modesty are nicely summed up in 1 Timothy 2:9: We should not wear (or do) things in order to draw attention to ourselves. "Are you feeling humble? 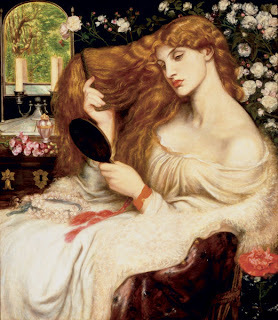 Or are you feeling vain, wanting others to notice you?" "Are you putting yourself above others by acting this way? What would Jesus say about that?" "If you wear that skirt and bend over, will your undies show? Or will onlookers expect that your undies will show? Will that draw attention to you?" "Are those pants so tight, your private parts are obvious? Will that draw attention your way? What does Jesus say about that?" "Why are you so worried about how you're dressed? Are you feeling pretentious? Or humble?" It comes down to this: The modesty issue does not have to be complicated if we simply know the definition of modesty, and recall that God calls us to serve and love others. In recent years, a handful of home keeping books have been published, and most of them were well received. None, however, have done much for me. Generally, these books start by telling readers how homemaking can be for feminists, too (sigh), and then proceed to give homemaking 101 skills. 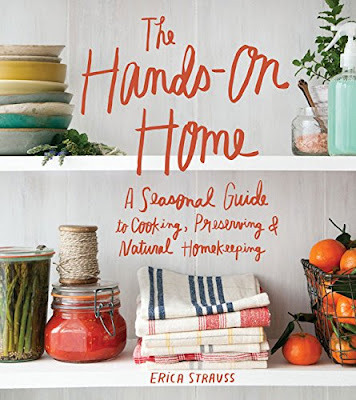 So when I first saw The Hands-On Home by Erica Strauss, I admit I wasn't particularly interested. Then I had a chance to see the book in person. First, I was struck by the beauty of this 388 page volume. Throughout, absolutely gorgeous photographs by Charity Burggraaf are featured. 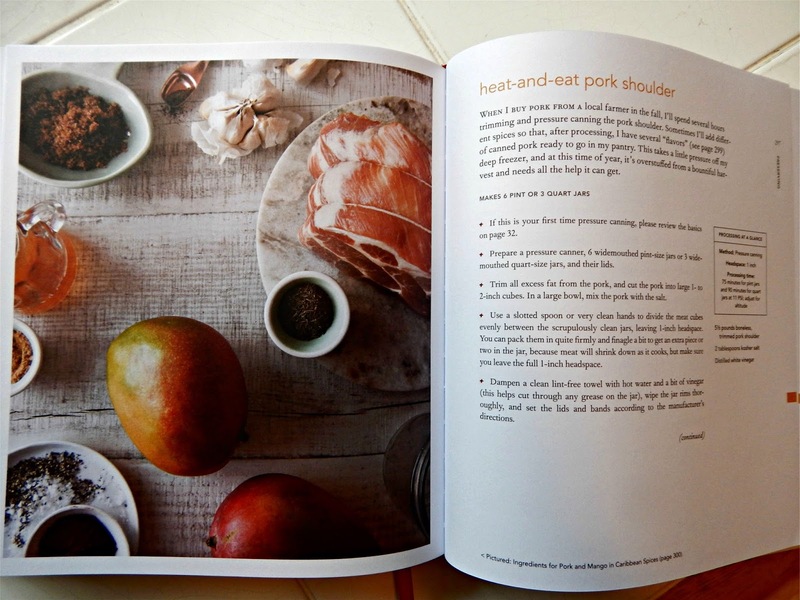 They are all printed on matte paper, but somehow the photos are still crisp and clean and vivid and feature all the beauty of food and cooking. 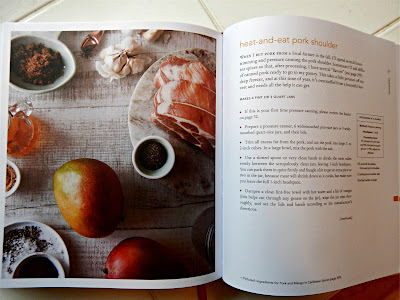 The fat hardcover also includes a bookmarking ribbon - and the sections of the book are tabbed in different colors, making using the book easier. Clearly, the publisher put a lot of thought into this volume. And that's good, because author Erica Strauss has, too. In fact, I think she's produced the best home keeping book of my generation. Strauss' premise is simple, but uniquely modern. She understands that many of us are striving to get away from the rush-rush of being away from home and instead want invest in our homes and families. She knows many of us are trying to eat healthy whole foods and stay away from expensive and potentially unhealthy store bought cleaners. She knows some of us are even looking critically at the chemicals we lather on ourselves in the form of shampoo, soap, moisturizer, and other beauty products. Best of all, Strauss understands that modern home keeping isn't about keeping things Martha Stewart perfect. She knows that giving us a cleaning schedule to strictly follow isn't useful, and that customizing our home keeping for our own families is really where it's at. Strauss starts her book by covering some basics. To my delight, she begins with cooking. Strauss used to cook in professional kitchens, and she actually taught me (a decent home cook) some things I didn't know. She emphasizes avoiding food waste ("The average American family of four throws out more than two thousand dollars of food every year. Pretty expensive trash or compost - that's money not available for college savings, retirement accounts, charitable giving, or travel."). She teaches that recipes aren't really necessary, if you understand a few basic techniques: braising, pureeing soups, roasting, sauteing, searing, and yes, good seasoning. ("...Heavily salt cooking water for anything starchy like pasta or potatoes, or for green vegetables you want to blanch. When the food cooks, that salt will be pulled into the food along with moisture, helping to create an evenly seasoned product.") Because when you drop processed food from your diet, you really don't have to limit salt, after all. Then Strauss goes on to offer advice on how to come up with a cleaning routine that works for your family. Here she discusses the importance of routines, what chores we should consider doing daily, regularly (perhaps weekly or monthly), and seasonally. What I love most about this section is that the author makes no demanding claims about what YOU should be doing. Instead, she tells us a wee bit about her journey from messy to reasonably tidy home keeper and gives us the tools to follow her path. Namely, she suggests we envision what a comfortable home looks like to us, personally. ("What state would your home have to be in for you to be able to grab a cup of tea and a favorite book and relax on your couch, or play with your kids, or spend an entire evening with your partner, without the nagging feeling that you maybe should, should, SHOULD be doing something else?") Then she encourages readers to turn that into a list, from which they can create a truly workable cleaning schedule. The remainder (and majority) of the book is divided up into seasons, covering cooking, preserving, home keeping, and personal care chores the author thinks you may want to tackle during Fall, Winter, Spring, and Summer. Here, you'll find lots of inspiration. 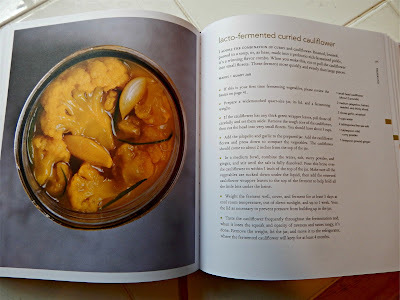 There are from scratch recipes for bread and tortillas, ricotta cheese, mayo and salad dressing, yogurt, vinegar, and all manner of fresh vegetables, fruits, and some meats; there are instructions for making canned barbecue sauce, pickled asparagus and fermented dilly beans, mustard, salted preserved lemons, frozen caramelized onions, and jams made without pectin; there are lots of recipes for cleaning items like glass cleaner, bathroom cleaner, carpet freshener, grout cleaner, toilet cleaner, and oven cleaner; and you'll find recipes for tooth powder, soap, hair wash, deodorant, moisturizer, lip balm, bath bombs, and gardener's hand scrub. There's even advice on line drying laundry and giving mattresses and old fashioned airing. In short, I am a big fan of this book. I'd even go so far as to say every home keeper should read it. 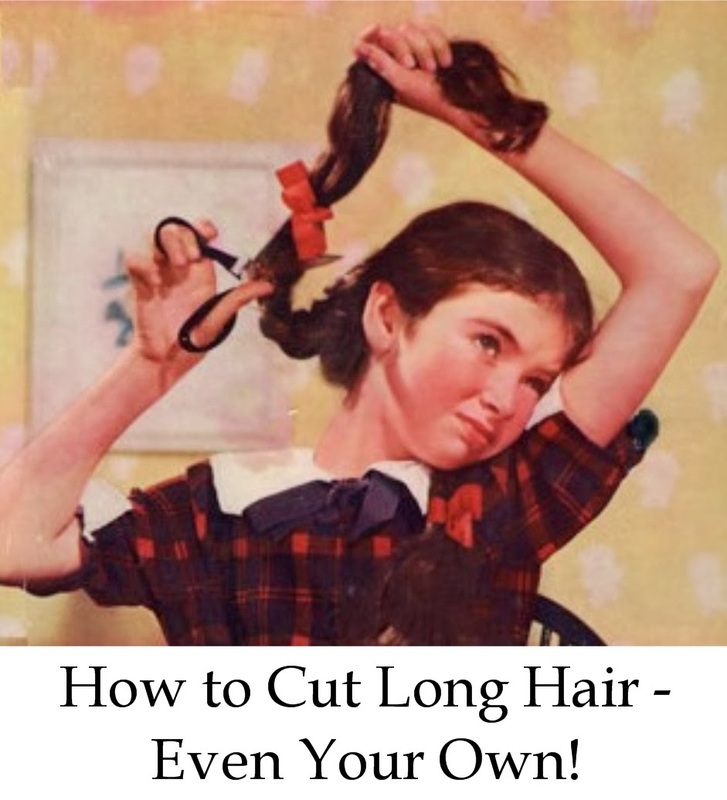 How to Cut Long Hair...Even Your Own! A couple of weeks ago, I was talking to a mom who said she always cuts her daughter's hair - and her own hair. I was amazed. 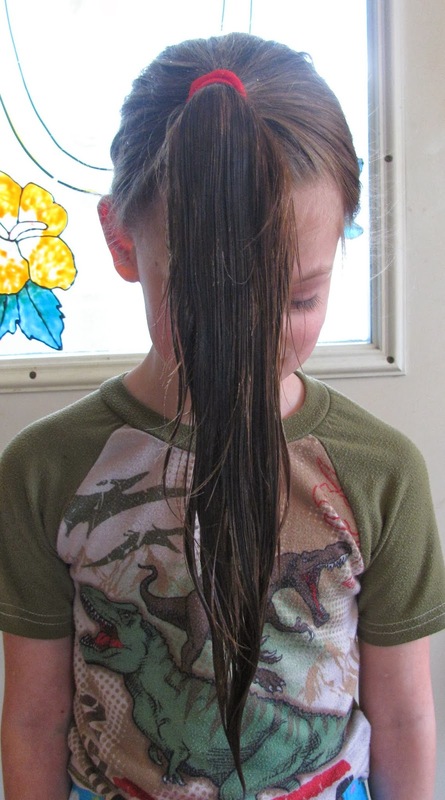 While I cut my husband's and son's hair, saving at least $600 each year, and while I trim my own bangs, I was too afraid to try giving we long-haired girls a hair cut. Until this mom explained her simple method of doing it. A bonus: It creates a layered look, which is great for those of us who like a little extra fullness in our hair. First, I tried my own hair. It worked! Then I cut my daughter's hair. We are both pleased with the result. Here's how we did it. 1. Damp hair is easiest to cut, so you can either wash your hair and let it partially dry, or spritz your hair with water to make it damp. I recommend the latter, since the cleaner your hair is the harder it can be to handle. 2. Brush your hair into a high ponytail. Think of it as a unicorn's horn;it should be high on the forehead. Secure with a ponytail holder. 3. Lean forward, so the ponytail hangs in front of your face. Comb the ponytail and cut off the desired amount of hair. Sharp scissors are a must here! 4. Brush or comb the ponytail again, and, if needed, straight the cut by taking small cuts. 5. Remove the ponytail holder and brush your hair. Just dip a Q-Tip or cotton ball in rubbing alcohol and rub it over the front and back of your ear lobes. 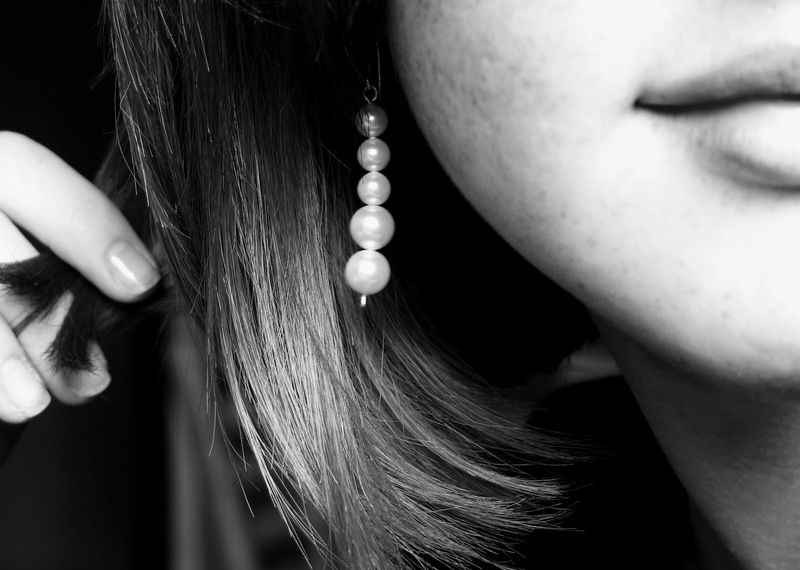 Your pierced holes will open right up, making it easy to get earrings on. Method 1 (preferred): Pour a little rubbing alcohol into the alcohol bottle's cap (or in a small bowl). Place the earrings in the cap, making sure the hooks or studs are completely submerged in the alcohol. Leave for a few seconds, then put the earrings on. Method 2: Put the earrings on, then use a Q-Tip dipped in rubbing alcohol to swab the entire area (front and back) where your ears are pierced. 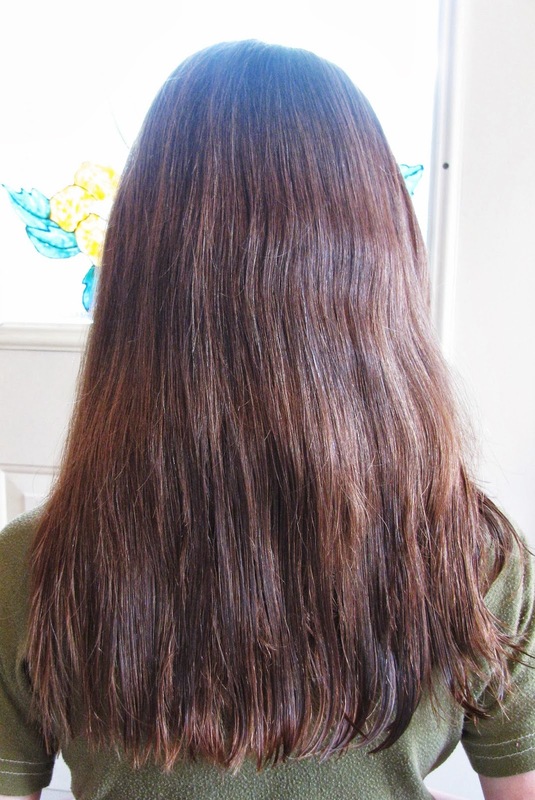 If you have children with long hair, or you have thin or thick hair yourself, you probably buy hair detangler. I did, too, until I realized I was paying $5 for an 8 oz. bottle of water with a little hair conditioner added. Since then, I've made DIY detangler. Not only is it cheaper, it's so simple and quick to make. If you do a Google search for homemade hair detangler, you'll find lots of varying recipes. Some have more hair conditioner than others; but being a frugal mom, I'm all about using the least amount of hair conditioner while still getting the job done well. I use 1 large squirt of hair condition for every 8 oz. of water. Do you hear a cash register ringing? You should, because that means my homemade hair detangler cost under .10 cents a bottle to make! You can use any squirt bottle you have on hand (wash it well first! ), or purchase one from the Dollar Tree. If you have bottles of old hair detangler hanging around, you might use those, too, since they tend to have a finer mist spray than an ordinary sprayer. But, I confess, using our Dollar Tree sprayer works great! When my husband and I were first married, we were poor. Spending $25 on a haircut was a huge extravagance, so soon we were looking for other options. I'd never cut anyone's hair in my life, but it seemed our only real option was for me to learn to do so. With this in mind, we bought a hair trimming kit for about the cost of one professional barber cut. I was intimidated, but after reading through the manual, it seemed quite do-able. And truly, it was! 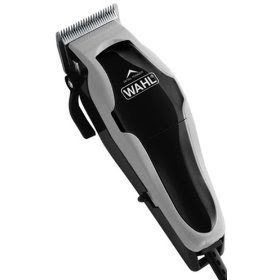 Even that first hair cut turned out great, and to this day, I cut my husband's and son's hair with that same kit. (It's lasted about seven years so far.) What a deal! As for my hair, I stick to ultra simple styles my mom or a friend can easily trim with a blunt, straight cut. (We haven't cut my daughter's hair yet.) But even if you opt for more complex hair cuts for the women in the family, just doing the men's hair trimming at home saves a minimum of $300 a year! I have adult acne, have visited several dermatologists, and have tried a wide variety of prescription and over the counter acne treatments - but none of them have worked as well as the following regime...which also happens to be frugal. 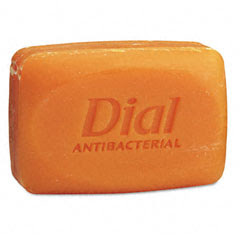 Quite by accident, I discovered that antibacterial soap (I like Dial bar soap), used regularly on the areas of my body where I tend to get acne, prevents almost all breakouts. Really. I even use it on my face, every other day. On the rare occasion I do need spot acne treatment, I use Clean & Clear's Persa Gel, and continue to use antibacterial soap, too. Usually, I need only one or two treatments of the gel. When I don't want to wash my face with antibacterial soap (perhaps because I think it might be too drying), I use Mary Kay's Velocity facial cleaner. One container of this lasts me between four and six months. Doctors rarely recommend antibacterial soap for the face - but only because it might be drying (which can cause more acne). However, those of us with persistent acne usually have oily skin, so as long as you pay attention to whether your skin is becoming too dry, antibacterial soap is a super cheap way to keep acne at bay. Try it for yourself or your teen.